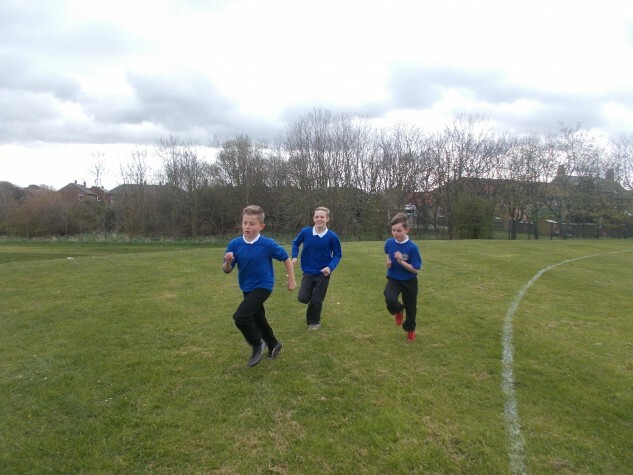 Year 6, acting as trailblazers for the rest of the school, have introduced the ‘Daily Mile.’ This is a concept started at a school in Stirling, Scotland that has spread throughout the country to great success. The children and their teachers either walk or run a mile daily in fifteen minutes, promoting fitness and clarity of learning. This is extra to normal PE lessons. Year 6 pupil Phoebe said, ‘It gets you ready for learning and makes your brain work. We’re looking forward to doing it every day.’ Year 6 teachers, Mrs Wills and Mrs Axe, both said that the children have responded positively and they’re looking forward to seeing the impact on children’s health, fitness and learning.